As our country’s amateur racers opted out during the Great Recession, many predicted that it was the end of the line for the kind club racing that attracted the average guy (or gal). The SCCA and NASA were on the ropes. Salvation came in the form of a lovable, reliable, lozenge-shaped roadster: the Mazda Miata. 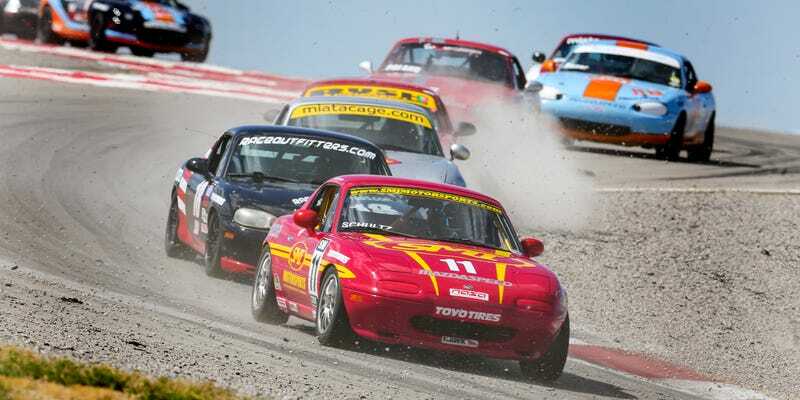 Spec Miata is now the outsized monster of the amateur club racing world, but it almost didn’t happen at all—shocking, considering how much of a foregone conclusion it seems from our vantage point in a recovering economy, seemingly surrounded by caged Mazda roadsters crowned with rare hardtops waiting their turn to hit the track. We sent Jack Baruth to investigate the Spec Miata’s unexpected and tumultuous origins, and he tracked down the people who were there at the very beginning to tell a surprisingly dramatic story.